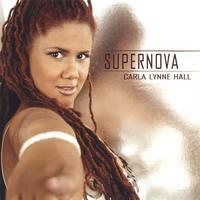 Known in musician circles as “The DIY Diva”, Carla Lynne Hall found an audience online when she began writing articles for musicians on MusicDish.com. Through her style of asking questions aspiring musicians would love to ask, Carla’s informative articles on songwriting and performing made her a favorite with readers. Soon after, Vibe Magazine contacted her to start their new music business column called “The Biz”, in which she interviewed celebrities like Russell Simmons, Mary J. Blige, and Patti LaBelle about their career successes. 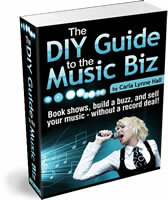 She later compiled her articles and interviews into an eBook, The DIY Guide to the Music Biz, which is available at www.DIYGuide-MusicBiz.com. In addition to the performing end of the business, Carla has also worked on the other side of the desk. Her industry experience includes Juna Entertainment, as the former director of marketing, EMI Music Publishing, Criteria Recording Studios, and WHQT-FM in Miami, Florida. 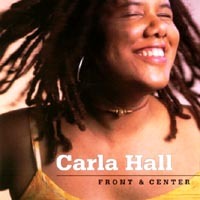 Carla’s music industry experiences eventually led to her performing in the classroom. Teaching seminars for organizations such as The Learning Annex, Songwriters’ Hall of Fame, and ASCAP (American Society for Composers and Publishers), Carla has inspired attendees at standing room only lectures such as Making Money Making Music, Music Marketing Machine, and Networking in the Music Biz.